Pirates Ahoi Update Archive - Unlock all Secret Characters! Play as Snips (the crab character) . 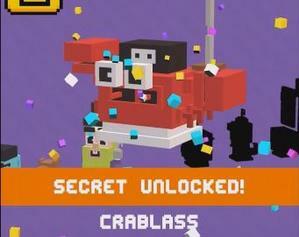 To unlock Crabless you have to find a special treasure inside a woodn box. There are a lot of wooden boxes with things inside you can collect, but Crablass will only be unlocked once you collected a treasure chest with a sword inside. After collecting it you can die and Crablass will be unlocked. 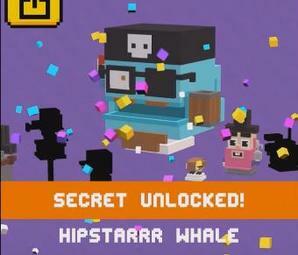 To unlock the Pirate Hipster Whale play as Disco Beard (secret character - see below how to unlock him) and beat the Disco Beard on his pirate ship. To unlock the new Shooty Skies hidden character Look Out Below play as LeCluck and shoot down 100 treasure chests. 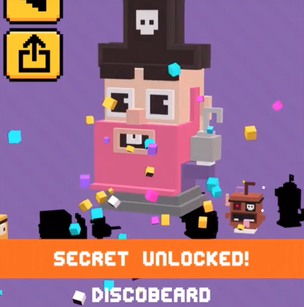 To unlock Discobeard you can use any character. 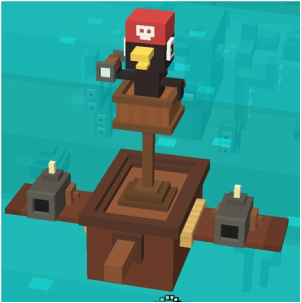 Kill (or maybe it's enough to fight against) Discobeard on his pirate ship . Once the game is over the secret character Discobeard will be unlocked!